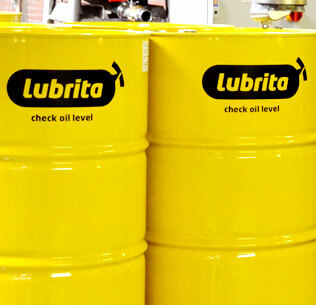 Lubrita is an independent company that has been manufacturing and blending lubricants in Europe, with a production capacity of as high as 130,000 tons of finished lubricants a year. Lubrita International provides a comprehensive selection of high-quality automotive oils, industrial oils, lubricants and greases, manufactured for today’s markets. The factory is located close to Rotterdam, the Netherlands with close proximity to the seaport, a large storage capacity of 17,000 tons for base oils and more than 60 storage tanks for finished products and additives, which makes us an exceptionally attractive lubricant supplier in the global market. 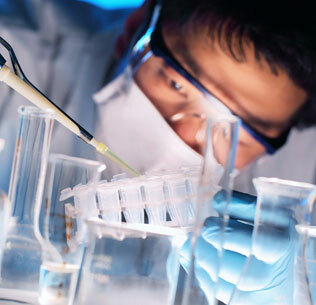 There are more than 500 lubricant formulations available for different requirements and applications. We are an open and efficient company, supporting our many Lubrita distributors. We offer excellent technical and aftersales support. All Lubrita oils are carefully selected to meet today’s needs and lubricant applications. 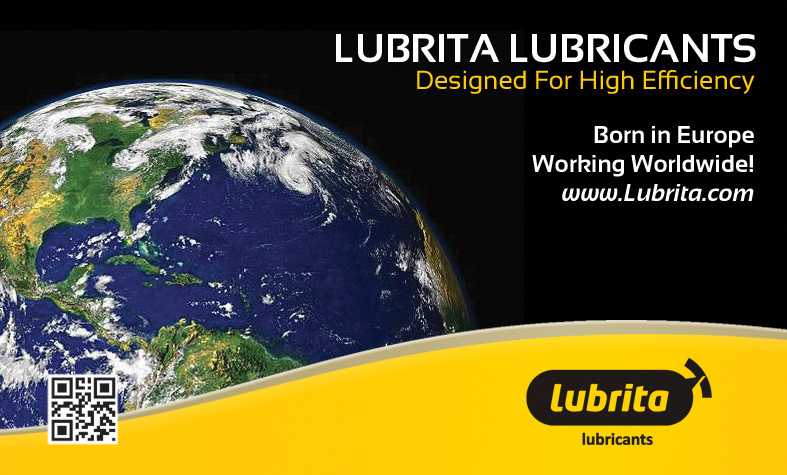 The company's goal is to develop a high European standard and service level on a worldwide scale by selecting experienced and highly motivated lubricant distributors, providing the best local service together with the Lubrita International Team. If you don’t find a product you are looking for or you have questions relating to our products, please contact us. We hope to help answer your all your questions. We are looking for exclusive partners to distribute our products in many countries worldwide! 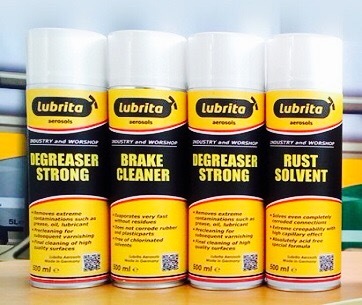 The company Lubrita is a leading lubricating grease supplier. These greases have been designed to meet consumer requirements in a wide range of different applications. We are able to supply greases to many different industries, including ranges of industrial and automotive greases developed for various applications, including: low-temperature grease, general multipurpose grease, multipurpose MoS2 grease, multipurpose graphite grease, multipurpose grease, MB approved grease, automotive centralised lubrication systems grease, universal EP grease, MB & MAN approved, universal EP grease with MoS2, universal EP grease, CLS grease (centralised lubricating systems grease), MB & MAN approved grease, universal aluminium complex grease, universal grease for industrial applications, industrial centralised lubrication systems, wide-temperature grease, extreme heavy-duty grease, slow moving parts, Bentone multipurpose grease, extreme water-resistant grease, rail flange grease, anti-seize compound, biodegradable grease, Willy-Vogel approved, grease for extremely high loads, solid-free open gear lubricant, food machinery grease. NSF H-1 registered synthetic low-temperature grease, synthetic industrial grease, synthetic grease for low-temperature pumpability, multipurpose biodegradable grease, synthetic grease for extremely high temperatures, extreme temperature grease. NSF H-1 registered grease, graphite open-gear compound, industrial heavy-duty grease, biodegradable grease for wet environments, grease for applications with high centrifugal forces, chemical resistant grease, oxygen-compatible BAM-approved and many other formulations. 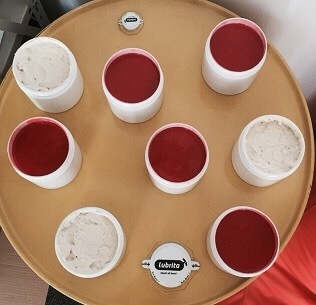 If you are interested in representing us in your country, please contact us directly by phone, or send an e-mail to info@Lubrita.com We are looking for exclusive partners to distribute our products in many countries worldwide! Lubrita supplies antifreezes and coolants with approvals from OEMs as well as economy-grade products without approvals. We supply in bulk (auto cistern, flexi tanks), but can also fill bottles from 1L to IBC 1000 L containers at our plant. An extended-life antifreeze coolant, the Lubrita H-XLC has many OEM approvals and is available in two colours - orange and red. The Lubrita H-XLC has been approved by many engine manufactures, both car and truck manufacturers. These approvals include: Ford specification WSS-M97B44-D, Mercedes-Benz specification 325.3, General Motors specification GM 6277M, MAN specification 324 type SNF and Volkswagen specification TL 774F. A complete and up-to-date list with all approvals is available on request. Based on patented silicate-free aliphatic additive technology, the Lubrita H-XLC ensures long-life corrosion protection for all engine metals, including aluminium and ferrous alloys. During extensive fleet testing, the synergistic combination of mono- and dicarboxylates present in this coolant has proven to provide protection for at least 650,000 km (ca. 8,000 hours) in truck & bus applications or 250,000 km (ca. 2,000 hours) for passenger cars or 32,000 hours (or 6 years) for stationary engines. BS Coolants – an economy product meeting BS – British standard, available in dark blue, light blue, colourless, yellow and green. 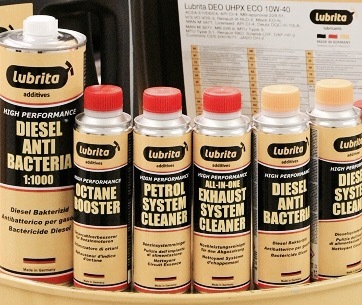 Lubrita BS Coolant is an economy coolant concentrate providing frost and corrosion protection. The coolant is recommended when price considerations take priority over quality. The Lubrita BS Coolant offers the following benefits to its users: corrosion protection, also for non ferrous metals, frost protection, boiling protection, miscibility, seal compatibility, hard water stability and low cost. We provide cleaning products to the agricultural, automotive, construction, food processing, petroleum, petrochemical, processing and production industries, for facilities maintenance, institutional cleaning, shipping (inland navigation, fishery, marine & offshore) and for transport cleaning (car washes, truck washes and in aviation). Expand your range of products with LUBRITA additives and car care products! You can simply choose from more than 300 automotive and industrial additives and care products which we have to offer to expand your business. Industrial works are inconceivable without technical aerosols. It is unlikely to find where these comfortable universal measures are not used. Aerosols apply to the heating, air conditioning, and sanitary ware, vehicles, in various industries, construction, the forestry sector, and services. We have more than 25 year technical aerosol production experience. Our customers and business partners are pleased with its very high quality and assistance consultation. To meet the latest needs of the market we are constantly improving our products and continuing to expand our offered services. 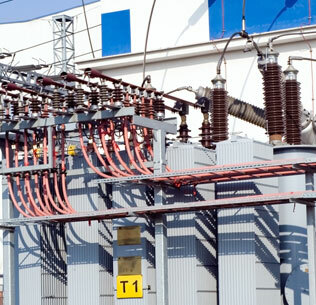 Our new products currently account for more than 150 various products produced in Germany. They are presented in different forms of packaging depending on use. Lubrita International is proud to offer globally Lubrita transformer oils Lubrita Trafo Univolta 13X and Lubrita Trafo Univolta 13T. In close cooperation with LBC Tank Terminals, which is one of the world largest global operator of bulk liquid storage facilities for oil products we can deliver Lubrita insulating oils to any globe location easily. LBC operate a global network of terminals with a combined storage capacity of close to 3 million m3 at key locations in Europe, USA and China.